FFA Alumni play a very important part in keeping agricultural education and FFA programs in our local schools. 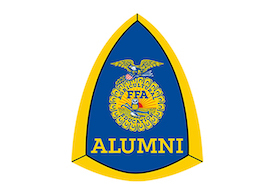 FFA relies on its alumni to garner support for FFA from their local communities, raise funds for chapter activities and scholarships, assist at FFA leadership camps and conferences, and more. You don’t have to be a former FFA member to support FFA, agricultural education, and the future of agriculture. What's happening with the Louisiana FFA Alumni and Supporters? Get all of the latest news and info here. Includes: National FFA Alumni Convention, State FFA Alumni Convention.